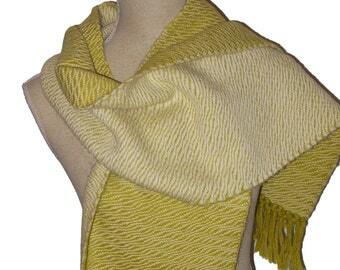 Alpaca wool is light and fluffy, it is water repellent and holds warmth exceptionally well. In addition, the wool is hypo-allergenic because it contains no lanolin. The wool does not irritate and therefore, is very comfortable even for those with highly sensitive skin. 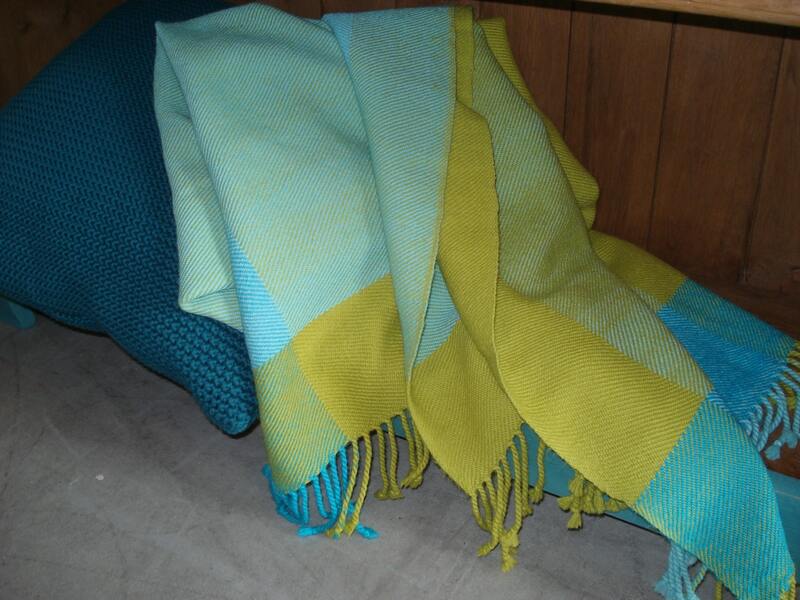 Size of this throw: 99 cm x 176 cm (38,9" x 29,3") without fringe. The throw is woven on a Glimakra loom, 4-shaft/harness foot powered loom. 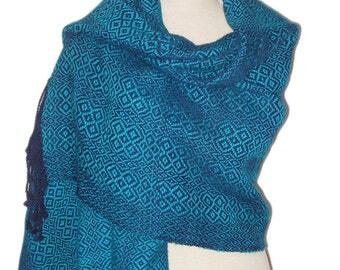 The weaving pattern is 2/2 Twill. Though this throw is woven with great care, it will have some irregularities because it is handcrafted. 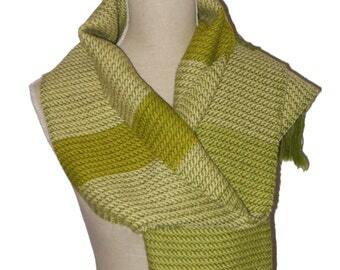 Beautifully made scarf with lovely colours, the alpaca wool is very soft and light. The yarn has been used after being handpainted by myself as warp on this baby wrap! Payment has to be within 14 days. When payment is cleared I will ship the item. Custom made items cannot be canceled when I already started working on them. Shop items can be canceled within 7 days if I have not send the item. If I have already shipped the item, you can send it back to me (within 7 days) shipping cost are for you. Payment will be refunded after items is received. Always use a track and trace code when sending. Always contact me if you are not satisfied and would like to send an item back to me! Custom orders can not be returned, as it is made to your wishes. I try the make long lasting durable items. All my items have 6 month guarantee. If something happens that should not been happening by normal use of the item, you can return the item (your costs) and I fix or replace the item and send it back (on my costs). Normal use definition: For example a scarf is meant to be worn around the neck and not be used as a play thing for toddlers. All items will be shipped in the greatest care. When items are flatmail I cannot track. All packages have a track and trace code. If you have not received the item within 4 weeks, please contact me, so I can help and figure out what happened.